here, my image of Google was little more than a colorful logo and a large company with a reputation for employee perks like free food and onsite massages - many, many states away from my home in Michigan. Within my first month at Google I became a volunteer for Google Grants. It’s almost two years later and I now coordinate regular Google Grants events for the entire Ann Arbor office. It has been my privilege to foster our office's commitment to our ever-expanding community of Google Grantees. I'm consistently amazed at the impact my Midwestern colleagues and I have had on so many deserving local and national non-profit organizations. In 2009 alone, we have helped more than 400 Grantees get started with AdWords advertising. I'm truly honored to be a champion of the Google Grants program amongst my coworkers and community, and the passion for service I've experienced as a Grants volunteer is like none I have ever experienced before. Google, to me, is no longer a distant California campus; it is part of my Michigan home. It’s a place where maple leaves cycle through the seasons outside my office window. It’s a place where communities pull together. It’s a place that’s not all about amenities. In fact, it’s not about what Google gives to me at all, but rather what I am encouraged to give back, that makes me proud to be a part of this unique and inspirational company. Before I started working here, my image of Google was little more than a colorful logo and a large company with a reputation for employee perks like free food and onsite massages - many, many states away from my home in Michigan. Judging by the number of views these videos have received, these organizations are strategically tapping in to a growing trend. A more interactive approach might be the best way to go when trying to raise the volume on important issues, especially when you're targeting a teenage demographic. Want to use annotations in your next video? Learn how here. , a new platform launched in conjunction with the White House's new "United We Serve Initiative." Video Volunteers is intended to create this bridge between individuals with video skills and non-profits who need help. And the program is already receiving tons of interest from the YouTube community -- the channel has accumulated over 12,000 subscribers in just a few weeks and many individuals have left channel comments asking for certain nonprofits or causes to get involved. 1. Visit either Idealist.org, VolunteerMatch.org, or Serve.gov to post your video opportunity. The opportunity can be anything you like -- a funny promo for your org, a PSA for a new campaign, or a short documentary on the issue your organization cares about. 2. Make sure to include the words "Video Volunteer" in your post so that it will appear on the gadget on the Video Volunteers channel. 3. Once you've done this, your post will appear on www.allforgood.org (a new platform built by Google/Craigslist that makes it easy to find/share service opps) and www.youtube.com/videovolunteers, for potential volunteers to review. 4. When someone wants to complete your video, they'll contact you to discuss their idea. 5. They'll create a video for you and upload it to their YT channel to introduce your organization and its work to a whole new audience! 6. Keep us in the loop -- email nonprofits@youtube.com when the video is created. We might promote it on the site! We know that video creation can be a heavy lift for non-profit organizations with limited resources. Luckily, there are individuals on YouTube who have video skills who would gladly volunteer to make a video for an organization they care about. But there has to be a way to connect non-profit partners like you with these do-gooder YouTube users who have time and good will to spare. Enter YouTube Video Volunteers, a new platform launched in conjunction with the White House's new "United We Serve Initiative." Video Volunteers is intended to create this bridge between individuals with video skills and non-profits who need help. And the program is already receiving tons of interest from the YouTube community -- the channel has accumulated over 12,000 subscribers in just a few weeks and many individuals have left channel comments asking for certain nonprofits or causes to get involved. 1. Set up a campaign for your summer events. Tailor these keywords to the event - whether it's summer classes, an annual summer picnic, or a walk to raise funds for a cause. Worried about the ads continuing to run after the event is over? Not a problem - you can set an end date for the campaign so that it automatically ends based on your timeline. 2. Write ad text with a spin on seasonality. Rather than running your standard ad text, spice it up with a nod toward "Fun in the Sun!" for an outdoor event. To target students, consider phrases like 'Summer Opportunities with Non-profits' which will help you capture the attention of students who are searching on Google for summer volunteering or employment positions to keep busy. 3. Use multiple match types to ensure that seasonal terms are tethered to the rest of the keyword. For instance, using a phrase match keyword, "summer volunteer opportunities", will help you narrow your audience to the season-specific traffic that you're seeking with your summer campaign. It'll also help you avoid any duplication with other campaigns' keyword lists. We'll have more gems of advice to share as our next batch of students become the teachers of the ins and outs of AdWords campaigns for Grantees. AdWords in the Curriculum spans graduate, undergraduate, and high school classes, so we'll have another update with tips from the newest round of Google Grant recipients when students return to school in August. School's out! The sun is shining and students are taking a break from coursework, while their teachers and professors prepare for the coming semester. AdWords in the Curriculum pupils in Boston and Ann Arbor have also wrapped up for the summer months. Track video on your site. A web analytics consultant for EpikOne created a three part series on implementing and tracking events like video interactions on your site. Use Twitter to engage supporters. Mashable's article about 26 non-profits on Twitter shines a light on how non-profits can use this program to engage and rally supporters all over the world. Don't make these analytics mistakes. Marketing Pilgrim gives a run-down of 8 things to avoid doing to keep your analytics working properly. If you come across resources that would be useful to the greater non-profit community, feel free to post it to the appropriate topic in our Help Group so that everyone can benefit. If you'd like to review previous round-ups, just click here and read through previous months' round-ups or search for "resource round-up" from the search box at the top of the page. The monthly resource round-up for July includes a blog series on how to track video interactions on your site, getting the easy-to-use Twitter interface to work for your org, and a hot list of eight analytics mistakes you want to avoid so you can make the most sense of your tracking data. 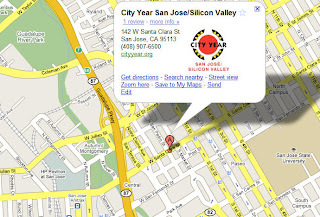 for your organization's website, you can now try an easy method for embedding Google Maps on your Sites. Then embed the map on your site for your visitors to see! Check out the Google Apps Blog for the "How-tos" on setting custom placemarks and embedding Google Maps on your Site. For those of you using Google Sites for your organization's website, you can now try an easy method for embedding Google Maps on your Sites.